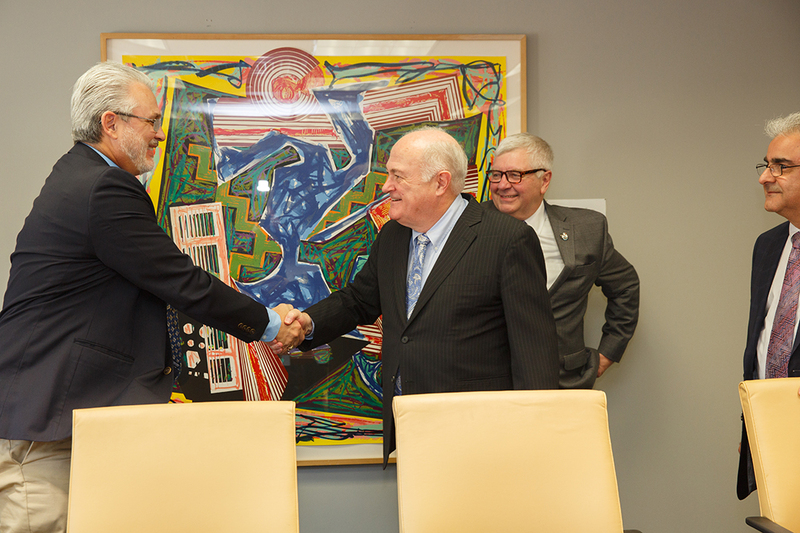 Left to Right: Tom Brooks (Mohawk Nation), AT&T’s vice president of external affairs, with former GW President Steven Knapp, at the signing ceremony launching the AT&T Center for Indigenous Politics & Policy (AT&T CIPP) at GW. The AT&T Center for Indigenous Politics and Policy (AT&T CIPP) is a University-based center whose purpose is to research issues, assist and provide support to tribal leaders, and promote public awareness on issues of national political significance to Indigenous communities, including public health, adequate housing, economic security and education. AT&T CIPP, based in the College of Professional Studies, builds upon GW’s longstanding focus on politics and policy together with more than a decade of programming in this area focused specifically on issues facing American Indian, Alaska Native, and Native Hawaiian communities. As the political landscape evolves, AT&T CIPP’s goal is to help strengthen policy in support of Indigenous Peoples and tribal sovereignty. AT&T CIPP researches key issues facing Indigenous communities and best practices to alleviate these challenges through political means; enhances and assists Indigenous youth and tribal leaders’ understanding of Native American issues and policy from a political perspective; and promotes public awareness of issues of importance to Indigenous communities. Funding was made possible from generous contributions from AT&T and grants from the AT&T Foundation. 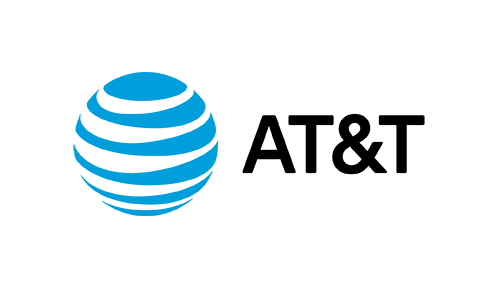 "AT&T has a long history of supporting Indian Country, and we’re proud to be a part of initiatives that are improving Native communities’ quality of life by creating the leaders and workforce of tomorrow." Wendy has dedicated her career to serving American Indians, Alaska Natives and Native Hawaiians in the public, non-profit and tribal sectors and protecting tribal sovereignty. She has more than 20 years of experience in federal Indian law and policy and working with tribal governments. She has her J.D. from the University of Colorado Law School and her B.A. in English from St. Olaf College. 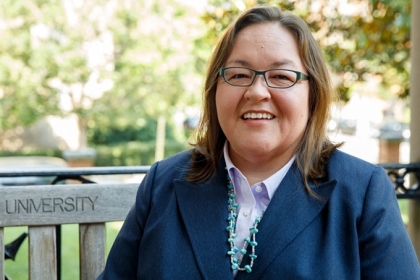 Elizabeth Rule, Ph.D. is the Assistant Director of the AT&T Center for Indigenous Politics and Policy, the Academic Director of the Semester in Washington Politics program, an Assistant Professor of Professional Studies, and the Faculty-in-Residence at Madison Hall. She has lectured, presented, and taught courses related to Native American Studies nationally and internationally and is working on a book manuscript, Reproducing Resistance. Elizabeth is an enrolled member of the Chickasaw Nation. 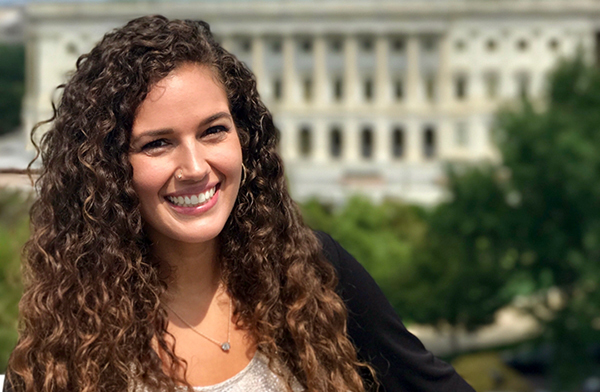 Broderick is the Program Associate for the AT&T Center for Indigenous Politics and Policy and for the Semester in Washington Politics program. 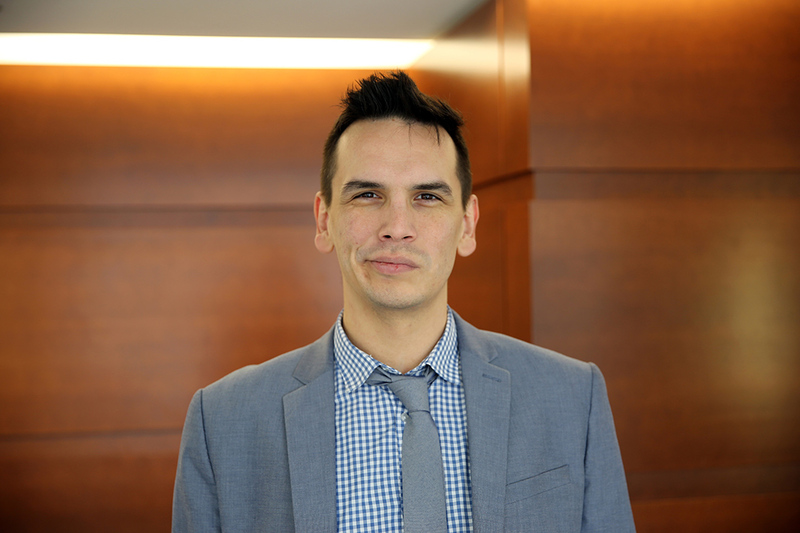 Prior to his career at the George Washington University, Broderick has worked for the last ten years in Indigenous education, in rural, reservation and urban communities and education policy. Broderick is Iñupiat Eskimo. He grew up in rural Minnesota and Wisconsin and earned his Bachelor of Arts in Political Science, International Relations from Carleton College.